On September 29, 1958, Norman Ketchel started a distribution company called Erie Bearings Company. It was in a small, shared shop in Erie, and bearings were the sole focus. But as time went on, Mr. Ketchel grew the business significantly. His own focus was always on service, on providing for the customer, and on expansion. 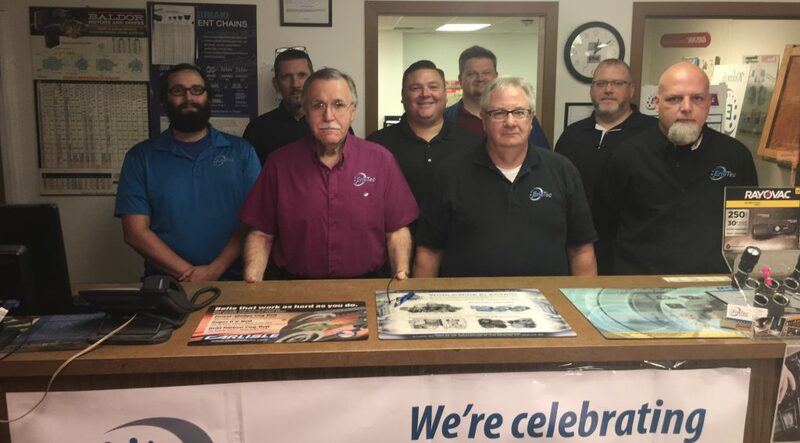 The bearings experts became the mechanical experts… who eventually became the electrical experts, too. The company would also grow geographically, opening branches across Pennsylvania. 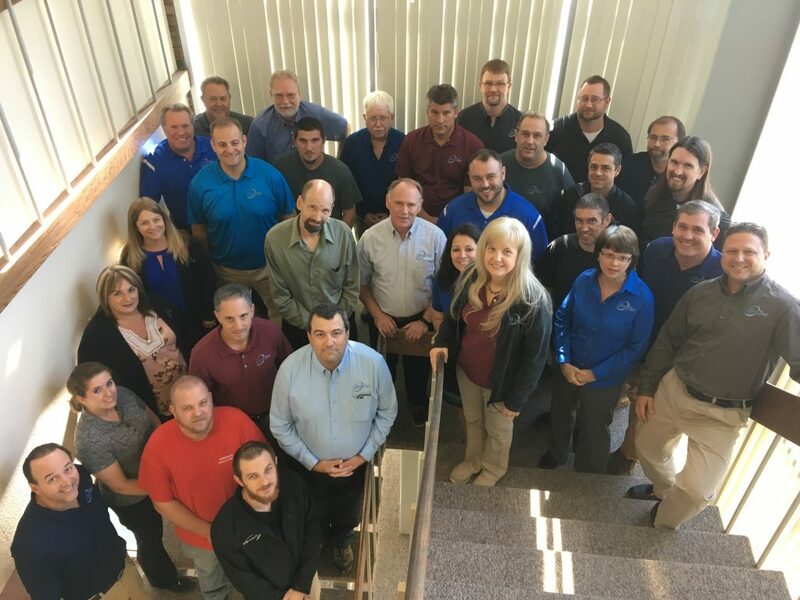 What began as a bearings distributor became a full line industrial solutions provider – an expert in all things technical. 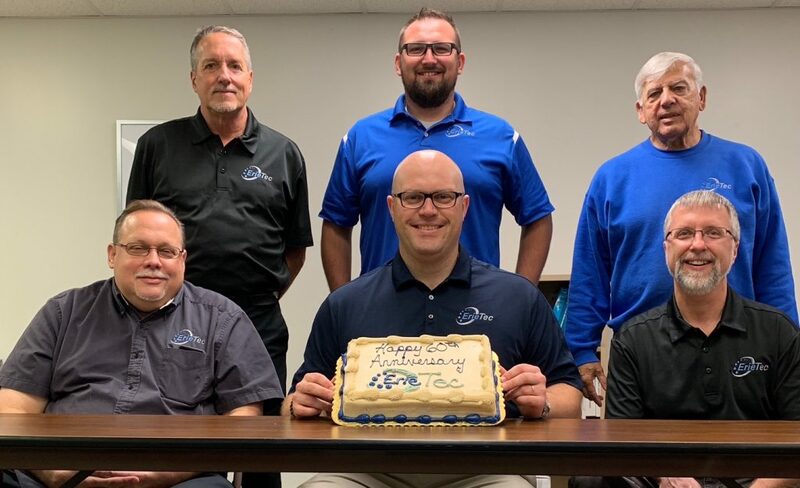 The company was over 55 years old when the new president, founder’s son Michael Ketchel, decided it was time for a change. Erie Bearings Company was so much more than just bearings. 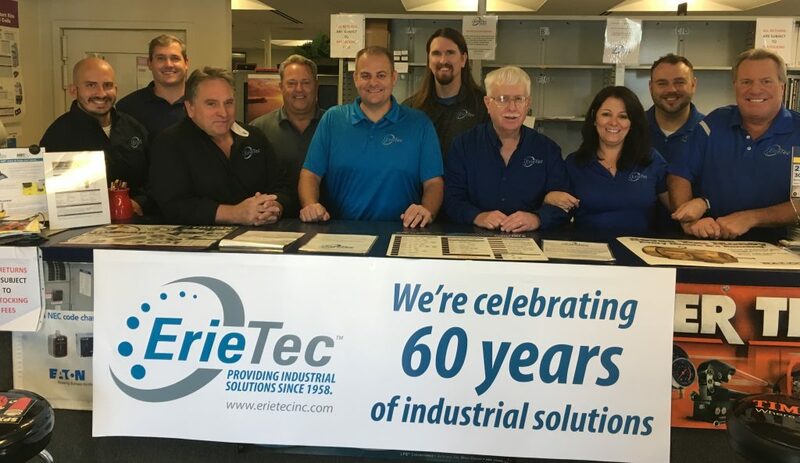 To address that, Erie Bearings transitioned to “ErieTec, Inc.” in 2017, a name derived from the community it had been serving for decades (Erie) as well as the focus of their expertise: technical products and solutions (Tec). 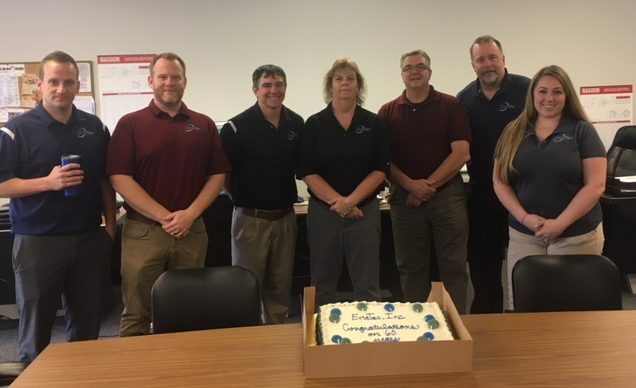 That all brings us to today: September 27, 2018, just one day shy of our company’s 60th birthday. 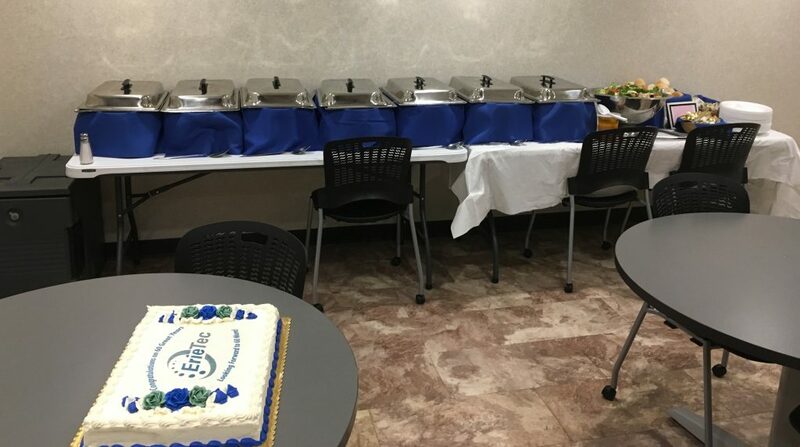 Employees at all six of our branches gathered together on our lunch hours to share some food and to celebrate serving our industrial community for 60 years! 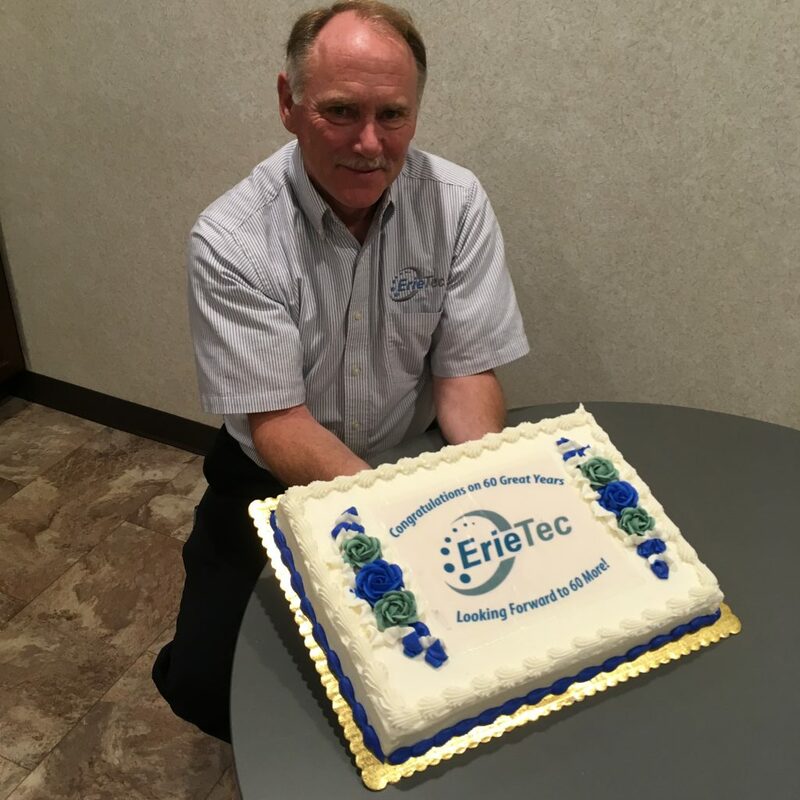 To all of our customers, we look forward to serving you for the next 60 years and beyond!